Spousal and child support can be emotionally charged, contentious issues in and outside of divorce. Whether you need help establishing, modifying or terminating spousal and/or child support, you can turn to an experienced Las Cruces family lawyer at Sutherland Law Firm, LLC. Our attorneys have been effectively representing clients, protecting and advocating their interests in spousal support and child support cases, for 40 years. We are ready to put our experience, insight and skills to work helping you bring your case to the best possible resolution. Let us help you get through the conflict so you can focus on your fresh start and new beginning. Temporary alimony – This type of spousal maintenance can be awarded for a short-term while a couple is separated and/or going through divorce. Long-term alimony – Also referred to as permanent alimony, this form of spousal support is usually awarded as part of a final divorce decree. 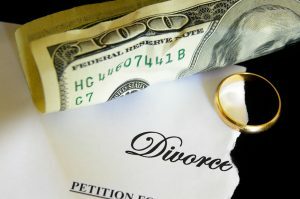 Generally, long-term alimony is reserved for marriages that lasted for a long period of time. Transitional alimony – This form of spousal support can last for 6 to 24 months, and it is intended to help one spouse pursue education, training and/or a degree that will help him or her earn a living. If spouses can agree on the terms of alimony – or if a valid prenuptial or post-nuptial dictates the terms of alimony, the court will typically uphold the existing agreement. The spouse requesting alimony will have the burden of proving (s)he needs it and that the other spouse can afford to pay it. The court1 has discretion to determine whether alimony should be awarded and, if so, how much the payments are and how long they will last. The court can also determine whether spousal support is modifiable in the future. The assets and/or liabilities each spouse holds separately. Each parent’s income – This includes job-related earnings, as well as commissions, bonuses, income from a trust, workers’ compensation benefits and unemployment benefits. It can also include disability and Social Security benefits. The amount of time each parent has the child(ren) – This refers to how the physical custody or parenting time is divided between the parents. The number of children involved. Under certain conditions, the court may deviate from the above formula. For instance, if the court deems that the guidelines unjust for a particular case or that a case involves special circumstances, it may deviate from the standard guidelines and formula for awarding child support. In general, the obligation to pay child support will continue until the child turns 18 or until the court decrees that payments should stop. Modifications and terminations of support payment – When the financial means and/or circumstances of either spouse change substantially, requesting a modification or termination of the payments may be possible. Job loss or being diagnosed with a serious health condition are two examples of circumstances that may necessitate a request for modifying or terminating spousal support and/or child support. Enforcement of support payment orders – When someone fails to abide by a court order to pay spousal support or child support, it will be necessary to return to court to report the violation and allow the court to determine the response or penalty. The court may choose to hold a non-paying party in contempt and/or penalize him or her via fines, wage garnishment and potentially jail time. Bankruptcy – Filing for bankruptcy does not eliminate debt associated with unpaid spousal support or child support. It also does not eliminate the legal obligation to continue making these payments – only the family court can do that. Given that the outcome of your spousal support and/or child support case may have far-reaching impacts on your family and future, you need a Las Cruces family lawyer from Sutherland Law Firm, LLC in your corner to help you achieve the best possible outcome. For experienced help protecting your interests in any spousal support or child support matter, contact a Las Cruces divorce & family lawyer at Sutherland Law Firm, LLC. Call 505-293-9333 or email our firm. Experienced, responsive and empathetic, our attorneys are ready to discuss your needs and concerns and explain your options for moving forward. With 40 years of family law experience, we have the knowledge and skills you can count on for effective representation and the best possible resolution. From offices based in Las Cruces, we represent clients throughout New Mexico. Our attorneys are also licensed to practice in Texas and Michigan. 1: The Third District Court handles spousal support and child support cases for those in Albuquerque and throughout Doña Ana County.